When it comes to packaging industry, polypropylene is an indispensable material. Just like our products – woven polypropylene bags, best polypropylene will make best bag. Here this post will look through the chemical POLYPROPYLENE. 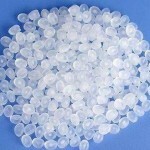 Polypropylene (PP) is a thermoplastic polymer used in a wide variety of applications including packaging and labeling, textiles (e.g., ropes, thermal underwear and carpets), stationery, plastic parts and reusable containers of various types, laboratory equipment, loudspeakers, automotive components, and polymer banknotes. 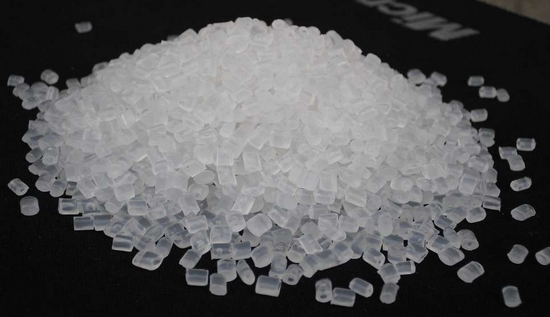 Most commercial polypropylene is isotactic and has an intermediate level of crystallinity between that of low-density polyethylene (LDPE) and high-density polyethylene (HDPE). 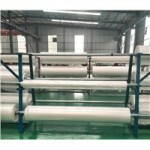 Polypropylene is normally tough and flexible, and has good resistance to fatigue. An addition polymer made from the monomer propylene, it is rugged and unusually resistant to many chemical solvents, bases and acids. 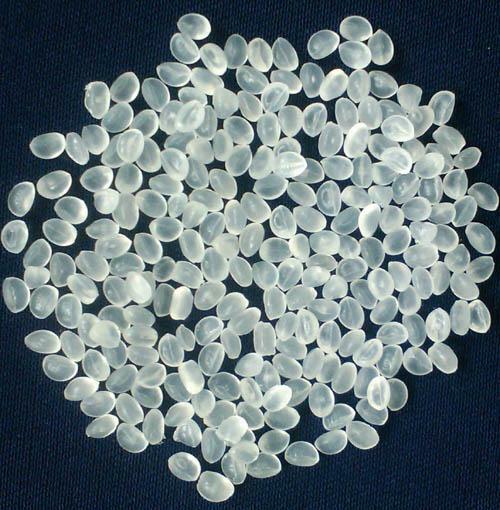 Polypropylene (PP) is a thermoplastic resin polymerization system of propylene monomer. In accordance with the spatial location of the polypropylene molecular-CH3, can be divided into isotactic polypropylene, syndiotactic polypropylene and atactic polypropylene. Calm it and other regulatory material as the main ingredient. PP performance vary according to molecular weight and molecular weight distribution, the county and three-dimensional regularity is closely related to. The regular structure is highly crystalline, which is characterized by softening point, high continuous use temperature up to 100-120 ° C, the melting point up to 167 ° C, excellent heat resistance, the products available steam sterilization. Corrosion resistance, tensile strength up to 30MPa, strength, rigidity and transparency than the Poly Art ene, has excellent abrasion resistance and dielectric properties, chemical stability. The disadvantage is that resistance to low temperature impact strength, easier to aging, high static, but can be by adding light stabilizers, antioxidants, antistatic agents, antibacterial agents additives to improve its performance. PP plastic bags is isotactic polypropylene as raw material, isotacticity generally require more than 95%, molecular weight and molecular weight distribution of the specific requirements, usually drawing class “or” narrow class “polypropylene as raw material. Polypropylene is liable to chain degradation from exposure to heat and UV radiation such as that present in sunlight. Oxidation usually occurs at the tertiary carbon atom present in every repeat unit. A free radical is formed here, and then reacts further with oxygen, followed by chain scission to yield aldehydes and carboxylic acids. In external applications, it shows up as a network of fine cracks and crazes that become deeper and more severe with time of exposure. For external applications, UV-absorbing additives must be used. Carbon black also provides some protection from UV attack. The polymer can also be oxidized at high temperatures, a common problem during molding operations. Anti-oxidants are normally added to prevent polymer degradation. Best polypropylene have characteristics for producing best woven polypropylene bags, both in packaging industry, and many other industry fields. They have the highest growth rate among man-made fibres and more than twice the growth rate of any other fibre. With a greater market share than nylon, and second only to polyester, it is a leading synthetic fibre used for textiles. Best polypropylene has the lowest specific gravity of all fibres (0.91), making it the lightest of all textile fibres. Low specific gravity also means that it takes 20% to 41% less polypropylene fibre to produce “fill” and densities equivalent to fabrics made from nylon, acrylic, polyester, rayon/acetate, cotton or wool. 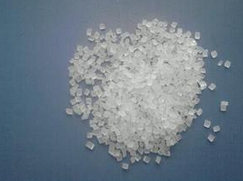 This is a excerpt of China quality standards of polypropylene resin, called GB12670-90. 1. 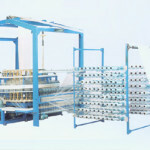 For plastic woven polypropylene (PP) test items and the methods and standards. GB12670-90 <polypropylene resin> provides for the polypropylene of the technical requirements, test methods, inspection principles and logos, packaging, transportation and storage requirements. The standard applies to propylene or propylene and ethylene polymerization catalyst obtained and containing additives granular propylene homopolymer or copolymer. This standard does not apply to the coloring, padding, enhancements, blends of polypropylene resin and master batch particles. Polypropylene resin for color, cylindrical particles, the particle size should be 2-5mm in any direction without mechanical impurities. For health requirements of the polypropylene resin shall comply with the provisions of GB9693. The polypropylene resin quality indicators should be consistent with the corresponding standards. 2. 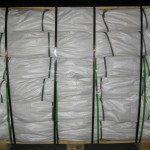 For the test items and the methods and standards of the plastic bags of low-density polyethylene (LDPE). GB11115-89 <low-density polyethylene resin> provides for its technical requirements, test methods, inspection rules, marking, packaging, transportation, storage. This standard applies to the ethylene monomer, the radical type initiator under high pressure polymerization system have low density polyethylene homopolymer content in less than 5% of 1 – olefin copolymers and polymer containing additives. Low-density polyethylene resin was milky white cylindrical particles, the particle size is 2-5mm in any direction, does not allow the entrained metal mechanical impurities. The health of low-density polyethylene resin requirements shall comply with the provisions of GB9691. Low-density polyethylene resin quality indicators should be consistent with the corresponding standards. 3. Test items and the methods and standards for plastic woven high density polyethylene (HDPE). GB11115-89 <high density polyethylene resin> provisions of the technical requirements, test methods, inspection rules, marking, packaging, transportation, storage. This standard applies to high density polyethylene homopolymer or copolymer of ethylene or ethylene and 1 – olefin monomer by catalytic polymerization system, and the additive-containing polymer. 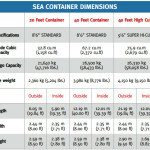 This standard does not apply to ultra-high molecular weight high density polyethylene. High density polyethylene resin is the true nature of columnar or oval-shaped particles, the particle size in any direction should be 2-5mm, not entrained metal, mechanical impurities. For high-density polyethylene resin with the health standards should be consistent with the provisions of GB9691. Divided into three main categories of extrusion, injection molding and blow molding high density polyethylene resin according to their use. This entry was posted in Raw Materials. Bookmark the permalink.